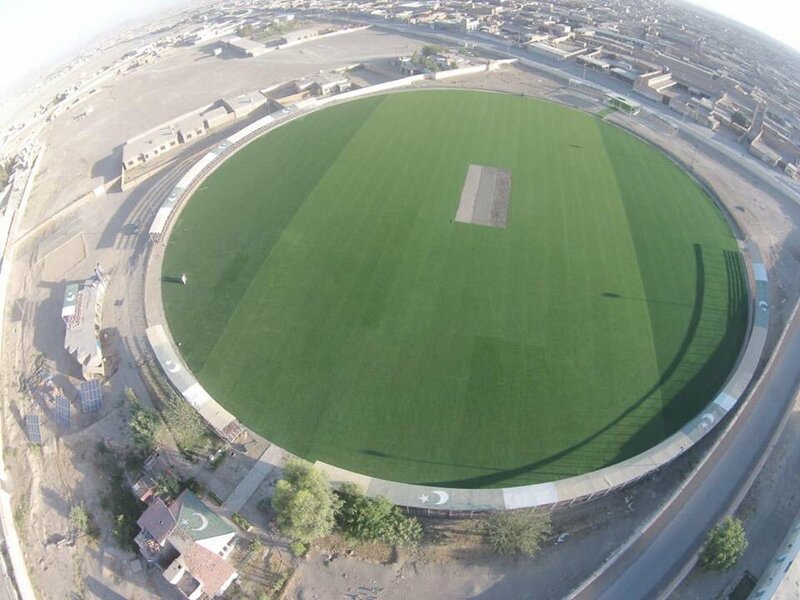 CHAMAN: Pakistan’s first ever AstroTurf cricket stadium opened its doors in Chaman, Balochistan on Friday. Commander Southern Command Lt Gen Asim Saleem Bajwa inaugurated the stadium by playing a shot, before handing it over to the cricket association. A friendly match between Chaman XI and Qilla Abdullah XI was also played at the country’s first and only AstroTurf cricket stadium. The stadium will host cricket matches. It has a pitch in the middle, with three stands for the audience. Addressing the inauguration ceremony, Lt Gen Asim Bajwa said the times of progress had begun in Balochistan and many great cricket stars would be visiting here soon. “Peace is visible everywhere. Wherever we go, people ask for good educational institutes and roads,” Lt Gen Asim Bajwa said. The armed forces of Pakistan have worked for peace and development everywhere, he said, adding that they would support the Balochistan government.